There are just five-ish weeks left of the Run to Remember 125 day charity runstreak, which I’m doing as part of Team Bedfordshire. I hit the 250 mile target a couple of weeks ago and have decided to push for 400 miles in total. Although the mileage itself hasn’t been an issue so far, I’ve been really struggling with the “running every day” side of things, both in terms of fitting it in and in convincing my body that rest days are for wimps. 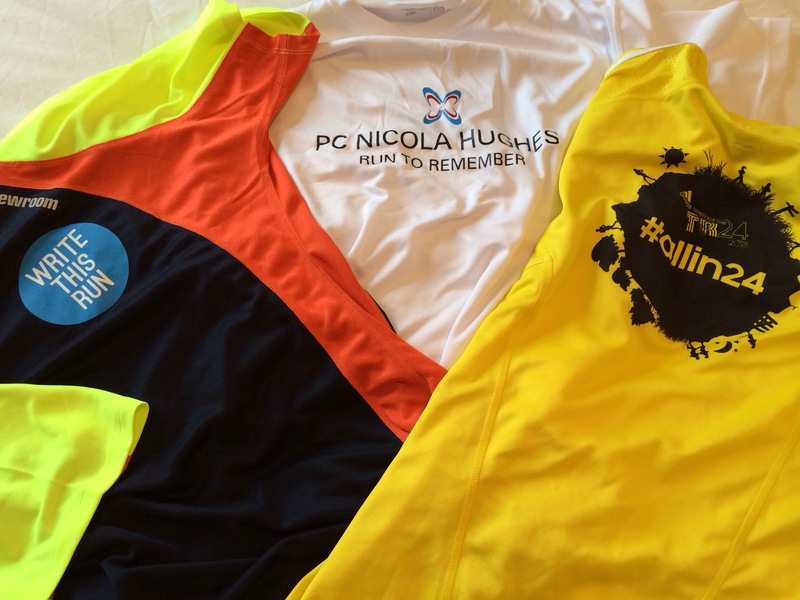 All money raised is going to the PC Nicola Hughes memorial fund, so if you’d like to help us reach our target, please visit www.justgiving.com/bedfordshirepoliceruntoremember. Thanks. Just to be on the safe side, I’ve done a bit of running between step one and two, but to be honest the tail end of Run to Remember has seen me doing more junk miles and less varied, quality running. This could go very wrong, and if I do manage 1:50 it’ll be thanks to a cocktail of luck and bloody-mindedness. I still keep telling myself that the last weekend in July is years away, and that I’ve got no reason to worry about the fact that I’m doing a solo 24 hour running event when I haven’t even run a marathon before. So, plenty to look forward to at the moment (along with a handful of very exciting projects that I’ll be announcing soon – watch this space). Once Run to Remember is finished, I’ll be taking a few well-earned rest days before getting back into the swing of things with some more structured training. Bye! Have a terrific weekend. Pssst… if you want to follow me around on the Twitter or the Facebook, or just email me some cake, you’ll find all contact details here. February 28, 2014 in General stuff.